Our service requires about one half teaspoon of saliva; it often takes about 5-10 minutes for an adult to produce this volume. Most people who are able to produce saliva (~2 mL) and are able to spit can usually produce a viable sample. Individuals who are unable to spit; these individuals may not be able to provide a sample using our collection kit. Drool (found outside the mouth) does not contain sufficient amounts of DNA for analysis; only saliva (found inside the mouth) can be used. Individuals who are undergoing a medical treatment that reduces your white blood cell count, such as chemotherapy; these individuals are advised to wait at least two weeks after the last treatment or until the white blood cell count has returned to normal. Individuals who have received a bone marrow transplant. In the event that the analysis was successful, it still would be unclear whether the results were based on DNA from you or from your donor. 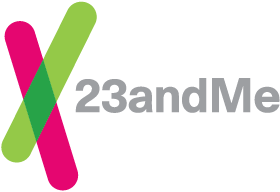 If you have purchased the 23andMe® service for someone who is unable to provide a sample, you can give the unregistered collection tube to someone else, or you can request a refund per our refund policy. It is during the registration process that a collection tube is connected with a specific person. If the collection tube has been registered, please contact us from the registered email address and we will outline the available options. How to provide a sample. Additional tips to help you provide a good sample. How to register your sample collection kit. How to return your sample to our laboratory.